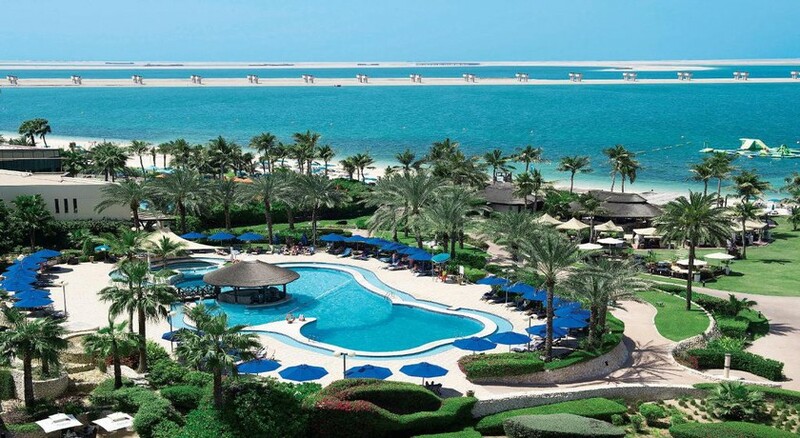 Set inside the award winning 5-star family-friendly JA Jebel Ali Golf Resort, the JA Jebel Ali Beach Hotel features a private marina and hotel gardens that add the perfect setting to the 231 rooms and suites overlooking the sea. In addition to its palm-lined beach, state-of-the-art spa, two swimming pools, multiple restaurants and bars, the resort offers excellent recreational facilities including water sports, tennis, squash and table tennis. Beach lovers can have their share of fun as the beach is just two minutes from the hotel. Guests can spend their time at the 9-hole golf course which happens to have a golf academy or go for fishing trips and sunset cruises that take off from the marina. The resort makes sure that the guests make the most of the in-house facilities and even provides a complimentary shuttle to nearby theme parks like Legoland and a Bollywood Park among a few others. Kids can also find loads of activities at the three kids’ clubs on site. 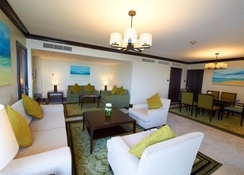 Guests can also visit the JA shooting club and Ibn Battuta Shopping Mall that lies within close proximity to the hotel. 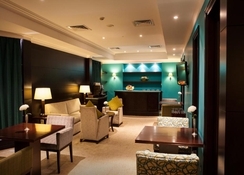 The JA Jebel Ali Beach Hotel is located inside the award winning 5-star JA Jebel Ali Golf Resort and enjoys a prime location. It is next to the Jebel Ali Free Zone, and Dubai Media & Internet Cities, Mall of the Emirates and Ibn Battuta Shopping Mall are around 20 minutes away. It is a two-minute walk to the beach. The famous Dubai Mall and Burj Khalifa are merely 35 minutes away. The Al Maktoum International Airport and Dubai Marina lie at a 20-minutes distance while the resort is a 40-minute drive from Dubai’s city centre and Dubai International Airport. A complimentary shuttle bus to the city centre is available every day. The resort also offers complimentary shuttle service to theme parks including Legoland Water Park, Motion Gate and Bollywood Park. Overlooking the sea, private marina and hotel gardens, the 231 rooms and suites that the resort accommodates come equipped with first-class facilities. The rooms featuring light modern interiors and dark sleek wood furniture lead to small standing balconies that boast of beautiful views to the sea or garden. The rooms classified as garden view rooms, sea view rooms, family garden view rooms, family sea view rooms and superior garden view rooms are complemented by facilities like mini bar, satellite TV, radio, DVD player, safe, tea/coffee making facilities, Wi-Fi, direct telephone line, hairdryer and en-suite bathrooms with toiletries. There are six restaurants at JA Jebel Ali Beach Hotel that serve a wide range of international cuisines in breakfast, dinner and lunch. 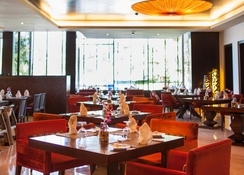 The Ibn Majed Restaurant serves breakfast buffets and themed dinner menus. Savour Italian food at La Traviata, while you can enjoy flame-grilled steaks at Shooters steakhouse. 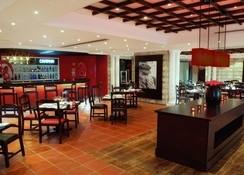 For light lunches, snacks and drinks, choose from Captain’s and Sports Café. Fresh seafood buffet is served at Divaz floating restaurant. 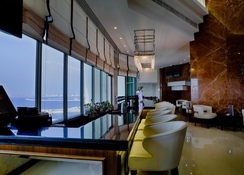 The bars at the hotel include Mushref Bar, the beachfront Sunset Lounge and the swim-up Palmito Pool Bar where you can enjoy a choice of cocktails and snacks. The restaurants also host theme dinners and culinary nights. The new jewel in the hotel’s crown is the Divaz Restaurant, a unique Dubai floating restaurant moored at our private marina within JA Jebel Ali Golf Resort. JA Jebel Ali Beach Hotel facilitates a wide range of water sports and outdoor games and sports, including tennis, squash, table tennis, badminton, volley ball, water polo, football, horse riding, mini golf and petanque. There is a 9-hole golf course at the golf academy. You can also go for fishing trips and sunset cruises from the marina. For soaking up the sun, lounge at the hotel’s beach or take a dip in the two temperature-controlled swimming pools. There are 2 shaded, temperature-controlled pools for children. 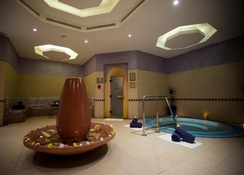 Fitness freaks can work out at the well-equipped gym or try the aqua gym. For young guests, there’s CoolZone for kids aged 4-12 years, while ChillZone is dedicated to teenagers between 13 and 17 years. There is also a crèche that takes care of babies while you can go for a beach stroll. JA Jebel Ali Golf Resort is delighted to announce the reopening of its championship standard 9-hole golf course, with newly redesigned first 3 holes, on Sunday 23rd September 2018, ahead of schedule. JA The Resort Golf Course is now a par 35 with a total yardage of 2,933 yards. The newly redesigned holes by original Golf course architect Peter Harradine, has kept the feel and playability of the original holes with narrow fairways with fast greens. Two new seawater lakes frame the second hole creating a picturesque backdrop, but ready to catch any wayward approaches. In addition to the redesign of the golf course, I am pleased to inform you that have also partnered with the David Leadbetter Academy to offer world class Golf lessons with Leadbetter certified Golf Professionals on site. David is one of the most experienced and highly recognised Golf coaches in the world of golf, with over 40 years’ experience and 40 worldwide academies, with JA The Resort Golf Course being the first in the United Arab Emirates. Lastly, we have also added a floodlit 9-hole Par 3 course on the driving range for night time play, which ideally suits families and golfers looking to sharpen up their short game skills.